Even with an existing wastewater management solution in place, mining projects often increase in capacity and therefore require additional sewage treatment reactors in order to deal with the increasing flow. WEC has recently completed an expansion project for a mine in Letseng, Lesotho, in order to design and commission water treatment solutions that will help increase the existing plant’s overall capacity. What Are Some of the Challenges Faced by Mines in Terms of Water Treatment? Mines are strictly regulated on their usage of water resources, as well as how they treat and dispose of wastewater. Due to these strict regulations by compliance authorities, mines have to regularly enhance and update their wastewater management plants and systems in order to remain compliant and keep up with growing capacity. 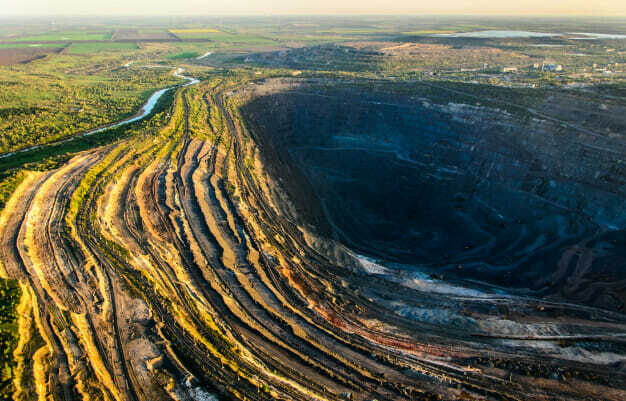 Mines that do not remain compliant with mining industry regulations face hefty fines which, in worst case scenarios, may lead to project closure. How Do Mining Companies Solve their Growing Challenges? In order to remain compliant, as well as to address increasing sewage flow, mining companies can turn to expert water treatment solutions providers. In this specific case, the mining client in Lesotho turned to our experts at WEC in order to solve their increasing flow problem. WEC was able to consult with them and provide them with the process and mechanical design of the solution, the supply of the mechanical and electrical equipment, as well as the commissioning and maintenance of the plant. WEC was able to simplify the solution by expanding on the client’s current plant, therefore increasing the capacity of the existing solution for increased flow. What Additional Benefits Did the Client Get from Working with WEC? From working with WEC, the mining client in Lesotho gained access to the following value-added benefits we offer to all of our clients: Going the extra mile to streamline system integration and usage – We at WEC made sure that all the products we provided were already well known to the client, therefore no additional training was required and spares would be same as the existing plant. Ensuring that the client meets industry standards – We provided the client with a wastewater treatment solution that enables them to deal with increased flow and treat wastewater to the required standard. We provide long-term sustainability – Our operations and maintenance assistance will help our client with the long-term running of the plant and will ensure that their wastewater will be effectively cleaned as not to contaminate the surrounding water resources in the years to come. If you’re looking for water treatment companies to help you solve your wastewater problems with effective, industry-leading design, construction and commissioning services, contact us at WEC. We provide full turnkey solutions for mining and industrial clients across Africa, empowering them to meet industry standards and effectively manage wastewater for the environment.